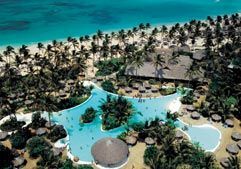 From its scenic beachside location in the Dominican Republic’s Punta Cana region, the Royal Holiday Bavaro Princess resort offers 5 star quality experiences to those who buy timeshare packages. This tropical escape is right on the water, offering you unbelievable views of white sands, turquoise waters, and swaying palm trees all day long. These Punta Cana timeshares for sale offer a tranquil getaway for two in a soothing atmosphere, plus all the space you need for the kids if you’re on a family vacation. A coffee maker in the kitchen will welcome you awake each morning before you head down to the restaurants for breakfast, lunch, and dinner. Air conditioning, cable TV, and a security safe complete the picture, and give you a restful place to relax between activities. The resort’s many amenities will make your experiences at the Royal Holiday Bavaro Princess ideal for everyone. With seven restaurants, seven bars, and a Mini Club for the kids, everyone can enjoy activities, fun, and delicious meals included in their vacation package. For those who want extra pampering, there is a state of the art spa, with a sauna, Jacuzzi, and massages. Internal transportation will take you anywhere you want to go, from the beachfront to the on-site casino, disco, and restaurants. The swimming pool is open to all residents, and has a special kids section. The Dominican Republic is a well-known tropical paradise for vacationers, and Punta Cana is one of the most popular destinations on the island. The Royal Holiday Bavaro Princess resort sits on one of the most pristine beaches in the area, full of white sand and warm waters where you can swim, explore, and tan all day long. Inland, you can find shopping for gifts and special mementos to take home with you from the island. This resort offers you and your loved ones the perfect beach vacation, right on one of the Dominican Republic’s most treasured beaches. 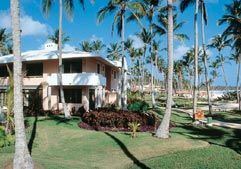 If you have ever desired to get away from it all and escape to a tropical island, these Punta Cana timeshares for sale are for you. Contact Royal Holiday Bavaro Princess Specialist Today! We stay for 7 days and we really enjoyed our time there. Plenty of activities, drinks, food, cute animals walking around freely, nice beach, but most importantly amazing staff. They all work really hard to provide great service! Special thanks to chefs at the Hispaniola restaurant, he always made us feel like home.